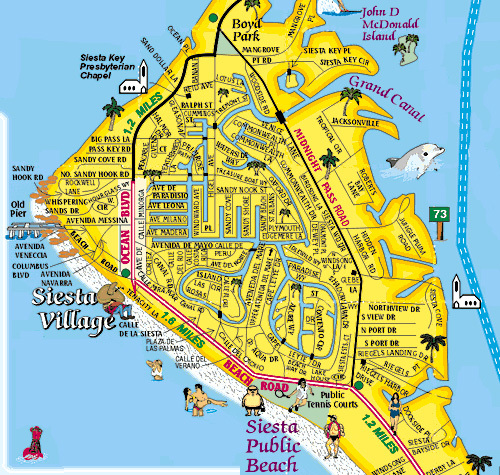 Siesta Key Florida was rated the number two beach in the United States. 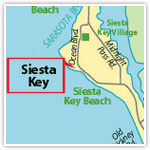 Along with a good beach comes great dinning and recreation activities. 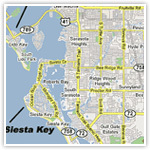 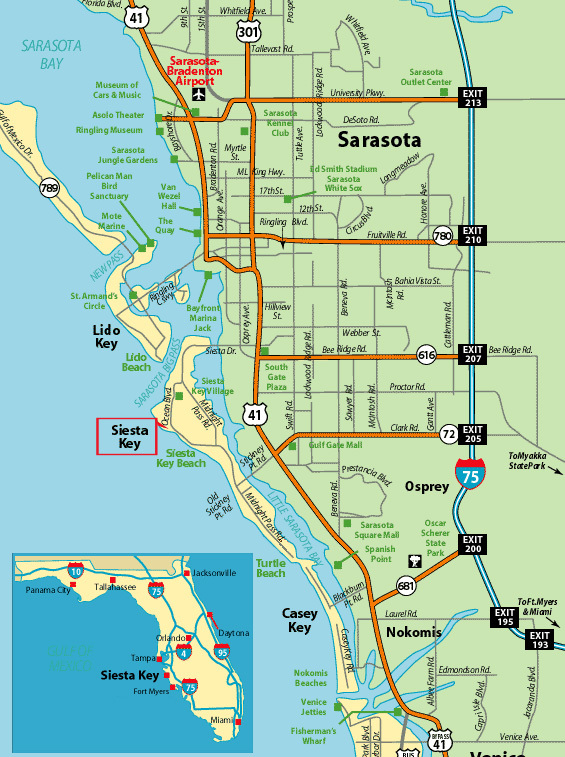 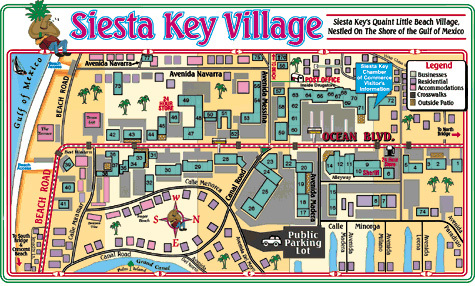 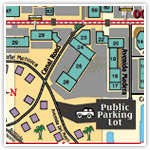 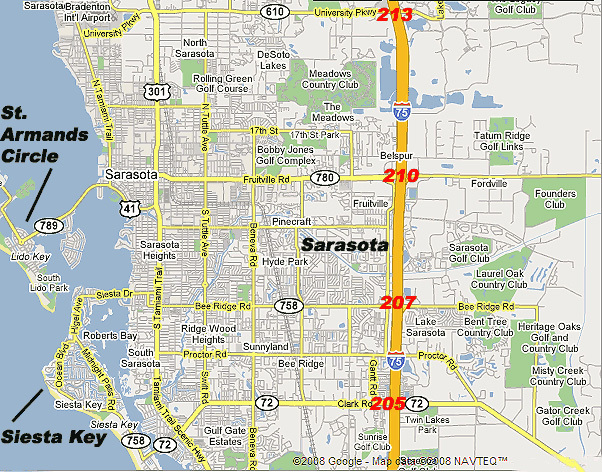 Let us share with you some of our favorite places in Siesta Key area. 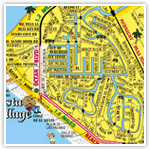 Click the map to view the whole image and print out.